My take on The Worst Trade in the World Ever was that clearly the Angels’ motivation was to get rid of Mike Napoli, who everyone acknowledges is a bad catcher and a somewhat limited hitter against right-handed pitchers. These are not insignificant problems for a player who, though he hits well for a catcher, is not nearly so good for a first baseman or DH. The Angels also as well as upgrade the aging and unreliable Juan Rivera in the outfield. This isn’t to excuse the Angels’ side of this. It’s near impossible to imagine that if they had insisted that the Blue Jays throw in, say, $10M (or heck, $25M) along with Vernon Wells for Napoli and Juan Rivera, that the Jays wouldn’t have gone for it. But I think it’s worth noting that Napoli was unlikely to be a positve force this year on the Angels because Mike Scioscia wasn’t going to let him catch, he wasn’t going to displace Kendry Morales at first base, and the Angels needed room for Bobby Abreu and Torii Hunter to DH a fair amount. The Jays’ subsequent dumping of Napoli on the Rangers is further evidence of that. Johan Keri tries to argue that this is a good trade for both sides, but his reasoning is a little mushy, even if you follow his own argument. It’s really more like a shuffling of resources and money, to which both teams find some appeal. Napoli’s role on the Rangers, apart from injury, appears to be about 200 AB vs. left-handers while platooning at first base with Mitch Moreland, and an occasional turns behind the plate and at DH. The Rangers signed a catching regular (Yorvit Torrealba) in the offseason, and according to Keri the Rangers’ braintrust likes good defensive catchers (like backup Matt Treanor). With DH filled by Michael Young, there aren’t that many additional at bats to be had for Napoli with the Rangers unless Moreland fails or there is an injury. But there may well be more than he would have had with the Jays. Not only is Toronto committed to JP Arencibia this year at catcher, but they have Edwin Encarnacion and Adam Lind at 1B and DH. The marginal advantage of Napoli over any of them, especially given his defensive limitations at catcher, was small, and now he’s gone. The point here isn’t that Napoli is a waste, but rather that despite his admirable and somewhat overlooked offensive skills, as a complete player he clearly isn’t a valued commodity. His poor defense reduces his marginal value substantially at catcher, and he doesn’t hit enough to be a regular first baseman. With a price of somewhere around $5-$6M this year he’s an expensive platoonist versus lefties. It seems the Rangers recognize that and are willing to pay. So were the Angels, in their own way. “Holding out for a Starter” from Nando on Vimeo. and get Wladimir Balentien? Here’s how. Maybe it would be better if the lives of trees were at stake (he goes on a little) but this is an excellent analysis of the Sox-Bucs-Dodgers deal yesterday. Maybe it’s that there’s nothing mind-blowingly original (Epstein good, Coletti bad), but every point is made clearly and in a larger context. Maybe it’s that he ends on a somewhat confessional insidery note. This is a solid piece of work worth reading. So Iâ€™m particularly conscious these days of the social interactions surrounding trade negotiations. Trading is at its best when you are honestly sharing ideas and information, keeping doors open, testing bottom lines, and finding the best deal that leaves both sides happy. In my experience this never happens if an owner involved in the negotiations is quick to spit venom at the first sign of a so-called â€œinsultingâ€ offer, or simply ignores e-mailed suggestions he doesnâ€™t find appealing. Why even consider making offers to people like that? Iâ€™m far from perfect on this front, but after giving this matter some thought Iâ€™ve come up with some dos and donâ€™ts that I think make trade talks pleasant and build, rather than raze, bridges. *No one likes the silent treatment. Try to respond promptly to a trade offer or e-mail query, even if itâ€™s just a â€œthanks for the offer/idea but no thanks.â€ Itâ€™s pretty frustrating going to the trouble of putting together an offer, developing a rationale, and have it sit in someoneâ€™s in-basket for a week or longer. I know of someone who forgot about an offer he made in that situation, and it was finally accepted after the player he sought went on the disabled list. Now thatâ€™s both rude and unethical. I realize some people will pester others with offers and not take no for an answer. A firm â€œthanks but Iâ€™m not interestedâ€ should be applied, and after that it makes total sense to ignore further contact. It might turn your stomach to laugh off a ridiculous offer but you only catch fish if some of them are nibbling. *Conversely, try to respect your league-mates by doing your best to make sure the offer doesnâ€™t insult the other personâ€™s intelligence. Remember, even if they accept a low-ball deal the long-term impact could be negative, because if that person is burned theyâ€™ll be twice-shy. The other downside, of course, is they start to mistrust your offers even when they are legit. *Respect confidences and privacy. Itâ€™s not ethical in my opinion to take elements of a private trade discussion public on a league forum without the permission of the other person. *Say anything in trade discussions you wouldnâ€™t say at a social event with acquaintances. For instance, calling an offer ridiculous or absurd is inflammatory, insulting and counterproductive. Maybe you think the insult is just, but if you want to trade with that person again why would you alienate them? And trust me, word will get around if you are abusive and others wonâ€™t want to deal with you either. I received a very reasonable offer from someone this year, delivered politely, and I said no. He asked for a counter but I just didnâ€™t have the stomach to offer one. Why? Last year he called an offer I made ridiculous and when I objected to his tone he said something along the lines of: â€œThis isnâ€™t a tea party, you know.â€ Well, he may think a fantasy baseball league encounter is the equivalent of a longshoremensâ€™ night out at the local pub, but thatâ€™s not my style. I face enough stress, and challenging people, in my day job. *Assume the person making what seems to be an obvious low-ball offer knows itâ€™s a low-ball offer. Itâ€™s very hard to be objective about your own players. You follow a player through his minor league career and pick him in the March draft, he hits .340 in April with six home runs, youâ€™re giddy as heck, feel like a genius, and suddenly notice an established player is hitting .196 in April with two rbis, and has a bothersome hammy. You listen to experts constantly chanting the mantra â€œbuy low, sell high,â€ so you make an offer legitimately believing itâ€™s fair, and then you get a response a treats it like a slap in the face. I remember touting Jeff Hamilton last year in late April and I got heckled a fair bit, but I legitimately believed Iâ€™d struck gold. I think his performance since then has proven that, when healthy, this guy is a stud. But when I flogged him in early-2007 trade talks some of my leaguemates treated me like a snake oil salesman. Last year I broke my own rule and responded to an offer by saying something along the lines of, â€œPlease be serious.â€ I had dangled the leagueâ€™s best closer, looking for a starter, and was offered a rookie pitcher with a 5.00-plus era. But I think I let my disappointment over the lack of decent offers from others get the best of me, and I took out my frustrations on this poor guy. Maybe heâ€™s in keeper leagues where this phenom is considered gold, and perhaps he actually thought the kid was about to have a huge second half. I felt badly, as the guy did take offence, and I think I unnecessarily burned a bridge. *Donâ€™t always ask for offers without coming up with your own. Do some legwork yourself. I was in a league with a guy with the attention span of a three-year-old who would break most of the aforementioned rules. Heâ€™d post on the forum: â€œOffers! Where are my offers? Câ€™mon guys, I need to make a move.â€ And when we actually sent him offers, by email or even by phone, he didnâ€™t even respond. To sum up, be polite and respectful, and donâ€™t abuse the anonymity the internet age provides you. Pretend an e-mail is a phone call, and an actual exchange is a live conversation. Ask yourself: â€œIs this something Iâ€™d say face-to-face?â€ AND, most important, remember that no one views players exactly the way you do. In early May fantasy guru Ron Shandler published a list of 10 hot starters, among them Fred Lewis and Kyle Lohse, and proposed trading them for another 10 out-of-the-gate stumblers. That list included fantasy favorites Robinson Cano and Roy Oswalt. “I am trading away 28 HRs and a .355 batting average for 8 HRs and a .172 batting average. Heading out is a 1.94 ERA; coming in is a 5.61 ERA. I’d have to be completely out of my mind, right?” Shandler wrote on his baseballhq.com site. Really? As an owner of red-hot Fred Lewis at the time, I began a thread on his websiteÂ¹s forum under the title of this column Â­ The Myth of Buy Low, Sell High. “I can’t count how many times in the last two weeks I’ve floated Lewis’s name in trade talks. Zero interest. If anyone took him it would be as a throw-in,” I wrote. “You regularly see on this and other sites a reference to a player: Sell high; to another, Buy low. becomes harder and harder for him to make deals. As the debate turned more serious, several agreed with my point. The classic buy-low, sell-high trade “still doesn’t happen in my league. Ever,” one poster wrote. Another poster was one of several who argued that my basic “myth” argument was flawed. discounted, while the slow-starting superstars like Miguel Cabrera are always assumed to be on the verge of a huge breakout. 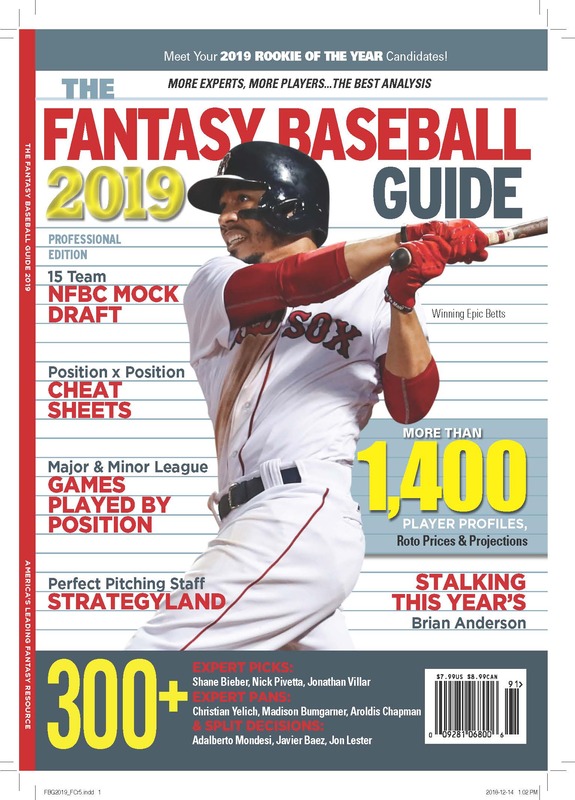 “If your player has started slowly, and you see a valid reason to question whether touts were right to hand him such lofty projections, it might not hurt to put feelers out that you’re ready to trade,” I wrote. received my struggling Troy Tulowitzki had he just asked. I was going to waive Tulo but instead, after the Young trade, dealt him for a useless middle reliever. This was a classic buy-low (Young’s price presumably being deflated) and sell-high (I paid next to nothing for these three players). In fact, it turned out that I gave away a closer and an emerging stud OF in exchange for a modest downgrade at SS. Even then I had to twist the guy’s arm to give up Young, his third-round pick. deal and the last thing anyone wants is to be fingered by leaguemates as the Nervous Nellie who panicked and sold a costly pick to the league shark. season, though has recently picked up the pace. Still, I think the Hart owner got close to full value: Â­ a closer and a solid emerging first baseman. Hart has only had one great season in the bigs, and the 2007 year was powered by two huge months. Then in mid-May baseballhq.com managing editor Ray Murphy produced a column titled: Buy High, Sell Low. “The advice is ubiquitous at this time of year, both here and at other sites: ‘He’s a good buy-low candidate.’ ‘Sell high while you can,’ Murphy wrote. “Some would say the words have lost all meaning, as executing this strategy is now impossible in all but the most elementary of leagues,” he said, citing the thread I started. Murphy’s readers were also advised to consider “selling low” on some slow starters that he didn’t think have either the skills or opportunity to turn it around, like HQ spring training favorite Jason Kubel. factors in the stock market. But I think it’s important not to beat yourself up because a fantasy expert declares smugly that it’s too late, youÂ¹ve missed a golden opportunity to sell high on or buy low on a particular player. Because increasingly that opportunity isn’t really there, or isn’t particularly golden if it is. I may well have recommended this site at some point, maybe even recently, but while reading it this morning I was reminded again what a great idea it was to collect all the trade rumors in one place. In part the idea works because Tim is a witty writer who does a nice job laying out the various discussions, chattering and possibilities. As we approach the July 31 trading deadline teams hoping not to be hurt by ML deals, and teams in the first waiver position hoping to be helped can stoke the fires all day (and night) long at this site.